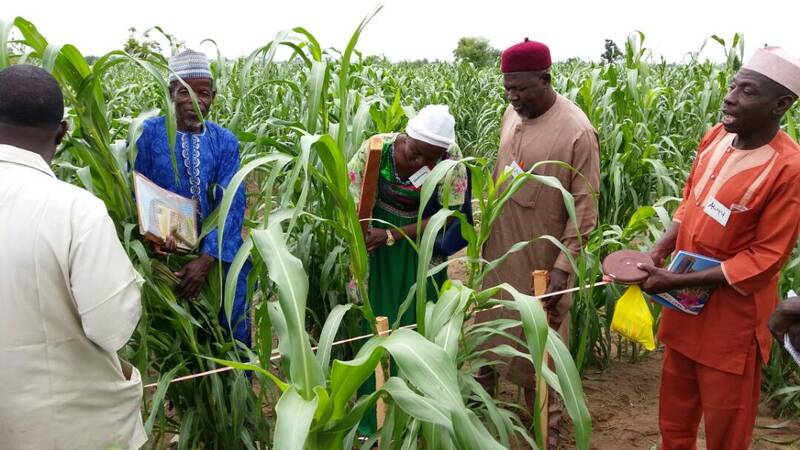 No less than 70 Government Extension Workers in Kebbi and Adamawa States have received training on farmers’ training. The Training of Trainers (ToT) programme covered Good Agricultural Practices (GAPs) for improved productivity in major crops such as Rice, Sorghum, Soybeans, Maize, Onions Agroforestry and Livestock; Group Organization and Dynamics; Integrated Crop Management; and Basic Agribusiness Principles among others. The Farm training field school aimed at improving production and food security, nutrition security and income of smallholder farmers in the two States was designed to use the farmer training field school as a “school without walls” to teach these small scale farmers improved technologies of production. The training was conducted using participatory adult learning and on-farm demonstration methodologies. The main objective of the training was to refresh, update, and upgrade the capacities of State Governments Extension workers to deliver-up-to-date extension services to the rural farmers through the establishment of Farmers Training Field Schools (FTFS) in Kebbi and Adamawa States. The training will also complement the efforts of the State Governments to resuscitate community level extension services that hitherto have been ineffective and moribund. The FTFS will help in developing farmer’s capacity to practice agriculture using best practices that will improve their yields and productivity. The result will lead to food security, improvement in income generation and adaptation to climate change using climate smart agricultural practices. The participants were drawn from the Agricultural and Rural Development Authorities (ADPs) of the two states. Also in attendance were Local Government Directors of Agricultural Services from 7 LGAs of PROACT in the two States, Field Staff of Oxfam’s Implementing Partners as well as Project Staff of Oxfam in the two States. Delivering his opening remarks during the training in Birnin-Kebbi, the Kebbi State Commissioner for Agriculture and Natural Resources, Alhaji Mohammed Dandiga commended European Union and Oxfam for being good partners that provide supports on all areas of agricultural productivity in the State through PROACT. “The time for the training couldn’t have been better than now when Kebbi State is at the centre of national discourse in Agricultural Production in Nigeria. Kebbi State Government will continue to provide necessary support to the success of PROACT in the state”, Dandiga said. The Adamawa State Commissioner for Agriculture, Eng. Ahmed Wazirir who represented the State Governor, Alh. Mohammed Jibrin Bindow, expressed gratitude to Oxfam and European Union for re-activating Agricultural Extension Services in the State via the Farmer Training Field Schools.